Almost every single successful fundraising effort I’ve seen has a compelling offer at the core of its strategy. Sadly the reverse is true as well . . . the fundraising efforts that fail either do not have an offer at all or it is presented from the least inspirational perspective. 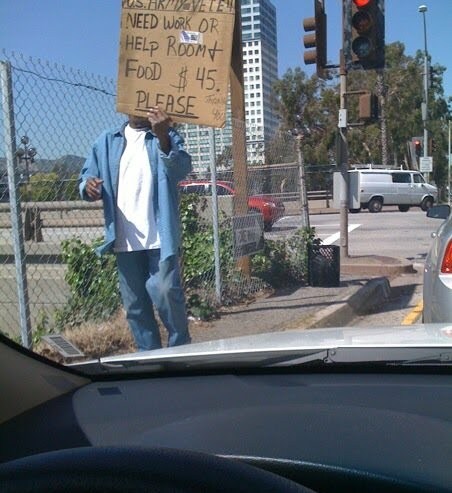 This person who is homeless understands a core fundraising principle, have a dollar handle. In his case he is letting me know that $45 can provide him food and shelter. Furthermore, he is also allowing me the option of finding him a job. That is called donor choice, which is another core principle. I gave him $100 and then he asked me for my email address. No lie.